See each stage's kinematics (Neo Geo CD): With the first controller, on the main screen, enter LEFT (x7) ang RIGHT (x1). Then select which level to see: for the stages 1 to 4, use buttons A to D on the first controller, and for 5 to 8 use A to D on the second controller. 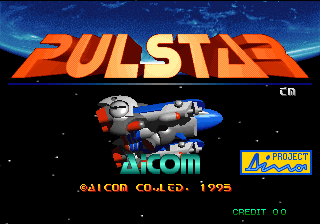 Full Stage Select (Neo Geo CD): During Stage Select, hold B°+C+D when selecting. Stage 1=Stage 5, 2=6, 3=7, 4=8. Full Power Mode (Neo Geo CD): When the ship is blinking (starting the game, use of bomb), enter UP, UP, DOWN, DOWN, LEFT, RIGHT, A.